We are working on a very clean and original 1995 SL600 (129 chassis) that has less than 30,000 miles on it. Unfortunately this vehicle was made by Mercedes with faulty wiring insulation that has deteriorated and caused short circuits in many components. 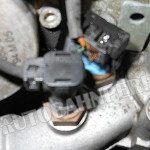 The main engine harness (just includes the fuel injector wires and a few others) is in the worst condition. 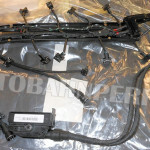 The main body mounted engine harness has some wiring circuits that are bad, Mostly the air mass meter harness. This harness is over$5000 for the part and approximately 60 hours labor to replace. It runs from the headlights to the trunk of the car, behind the dash and under the interior. This job at the Mercedes dealer could legitimately be $14,500. Just for the body mounted harness. 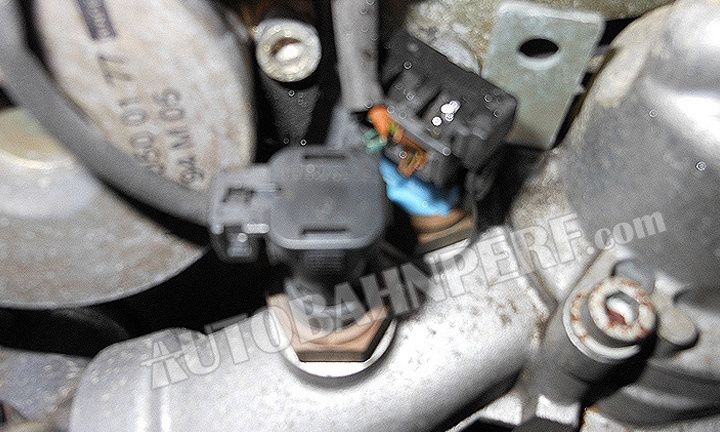 Here at Autobahn Performance Inc. in Ft. Lauderdale Florida we have developed a repair kit and procedure to repair this harness without removal for less than $1800. It will work on V12 engine in the 129 (SL convertible) chassis and the 140 chassis (4-door sedan or 2- door coupe). In rare cases more than the normal wire circuits are affected by the insulation deterioration and the harness is unrepairable. This is usually only in European-delivered vehicles and the sedan 140 chassis. If a wire suffers from insulation deterioration the entire length of wire must be replaced. Trying to splice onto a section of the wire will not work properly and will result in short circuits and possibly a fire. The insulation will start to crumble near where you are trying to repair it and you will probably make your problems worse rather than better. 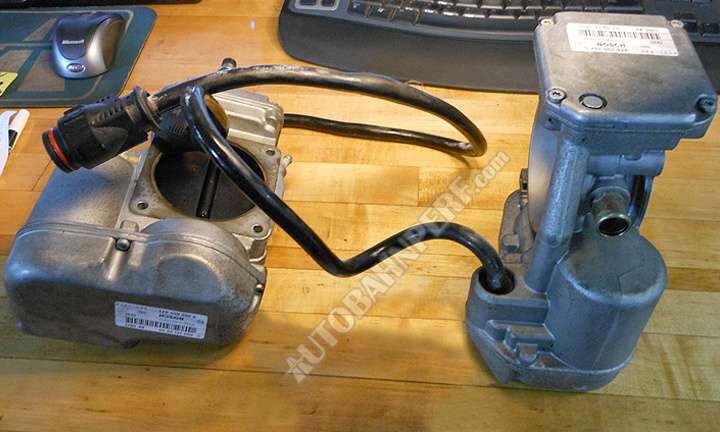 The throttle actuators (electronic controlled throttle body, TBA Throttle Body actuators): There is one for each side of the engine. (note: the one on the right side of the engine feeds the air into the left side of the engine and vise versa) The actuators have a short wire harness coming out of them, it’s about 14 inches long, that connects to the body-mounted engine harness. These harnesses also have the insulation failure problem. 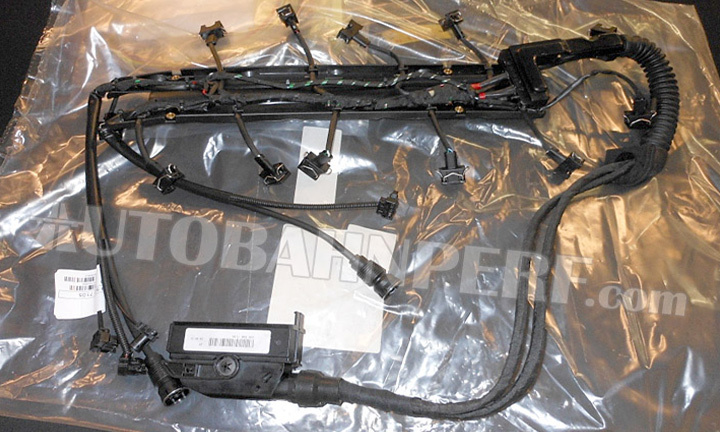 The harnesses are part of the actuators and are not available as a separate piece from Mercedes. 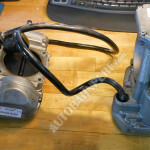 The Actuators can be rebuilt and new harnesses soldered into place. 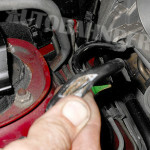 Again, do not try to repair these as you will not be able to properly connect new wires to the electrical connector end of the harness. 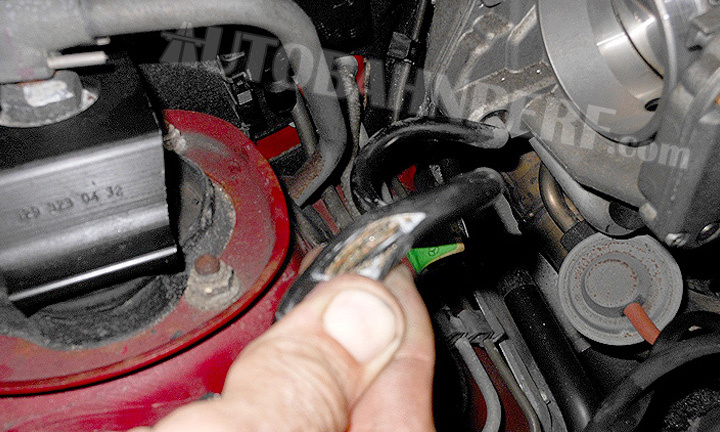 Short circuits in the wiring of the actuators commonly cause damage to the E-GAS actuators (the control units that control the throttle actuators). These also can be rebuilt.